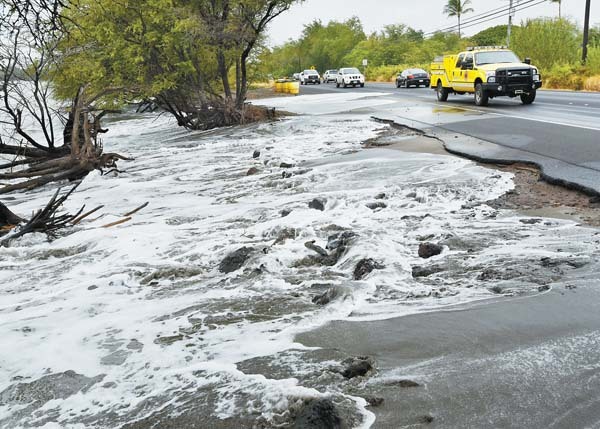 HOOKIPA — Before Facebook, Twitter and the advent of the internet brought instant communication to the masses, amateur radio allowed friends, family and strangers to talk on opposite sides of the Earth at any time. 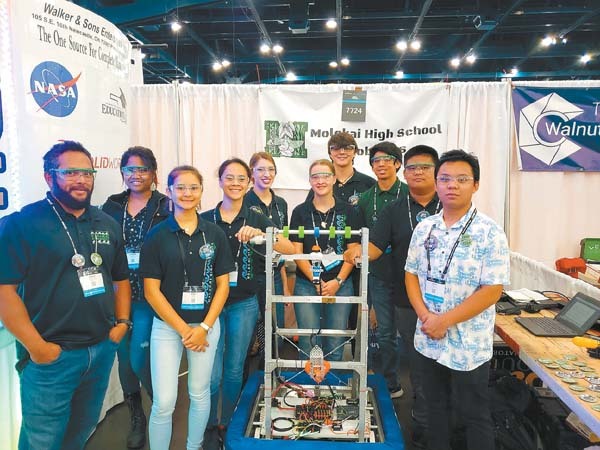 The Maui Amateur Radio Club continued the century-old technology by contacting other radio operators across the globe for 24 hours Saturday to Sunday morning as part of the largest communications test in the world. The Amateur Radio Field Day exercise showcases the science and skill of amateur radio, which can be used as a free public service to communities during a disaster or emergency. 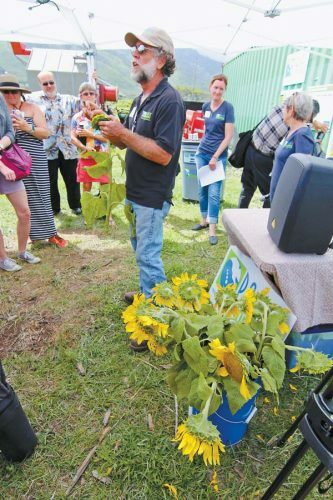 About 30 members of Maui’s club assisted in the exercise and made over 2,000 separate radio contacts from its ham radio station at Hookipa Beach Park. Italian inventor and engineer Marconi developed, demonstrated and marketed the first successful long-distance wireless telegraph and in 1901 broadcast the first trans-Atlantic radio signal. Ham radio operators across North America founded the exercise in 1933 and Maui’s club formed three years later. The club has been participating in the exercise since 1939. Among the states Maui operators connected with were Florida, California, North and South Carolina, Massachusetts, Alaska and New York. Operators also made contact with countries such as Canada, Japan, Russia and Pakistan. Club members spent all of Friday preparing for the field day, setting up eight antennas for five sets of frequencies. Three radio transceivers also were configured in a borrowed paratransit bus from Maui Economic Opportunity, with all the equipment running on a generator. While setting up the temporary radio station takes time and manpower, making contacts with other stations can be equally difficult with frequencies changing daily, Hill said. He said radio propagation changes based on sunlight charging up the atmosphere, which can make operating amateur radios an art form rather than just science. 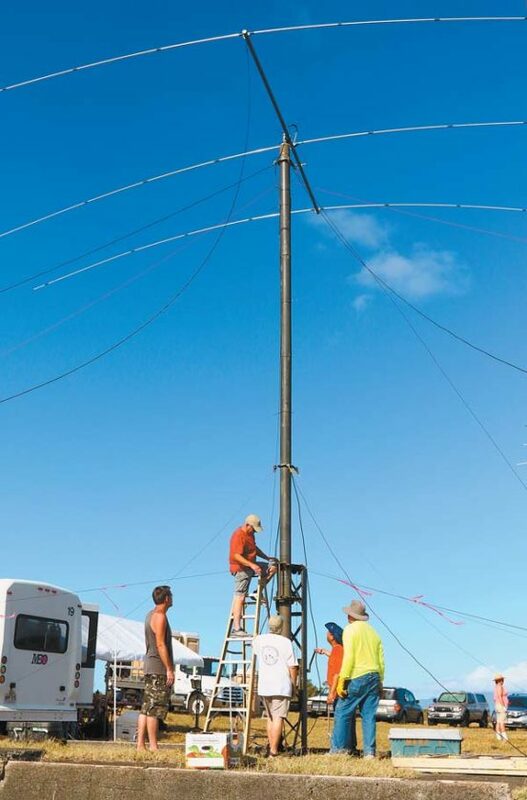 Maui Amateur Radio Club members take down antennas as tall as 50 feet and other radio equipment Sunday morning at Hookipa Beach Park. John Hultquist, a former club president and member since 1986, said he first became a licensed ham radio operator in 7th grade and improved over the years. During the Vietnam War, he would radio his father, who worked as a merchant marine radio operator and would ride munitions ships from Oakland to Vietnam. Hill said many club members fell into the hobby in Boy Scouts or high school. He said he first got interested after using a walkie-talkie. “I heard you could get longer distance and I instantly became interested,” he said. 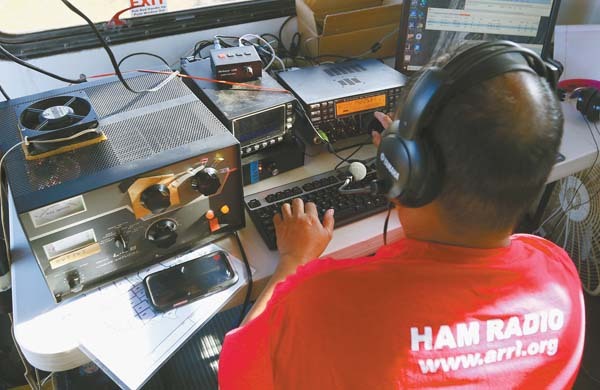 The Maui Amateur Radio Club made over 2,000 separate radio contacts over the course of 24 hours from Saturday to Sunday morning at its ham radio station at Hookipa Beach Park. 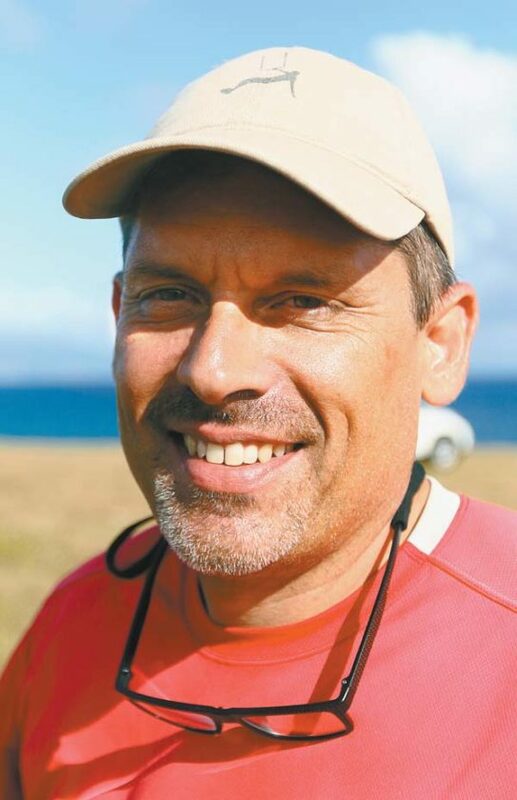 Hultquist said many ham radio operators will jump on a frequency and talk to longtime friends or strangers, which they call “ragchewing.” Courtesy, however, is encouraged, unlike what some may find on social media websites. Hill said about 20 people came by to see the club’s station, including a few teenagers who made contact with other operators on the Mainland. 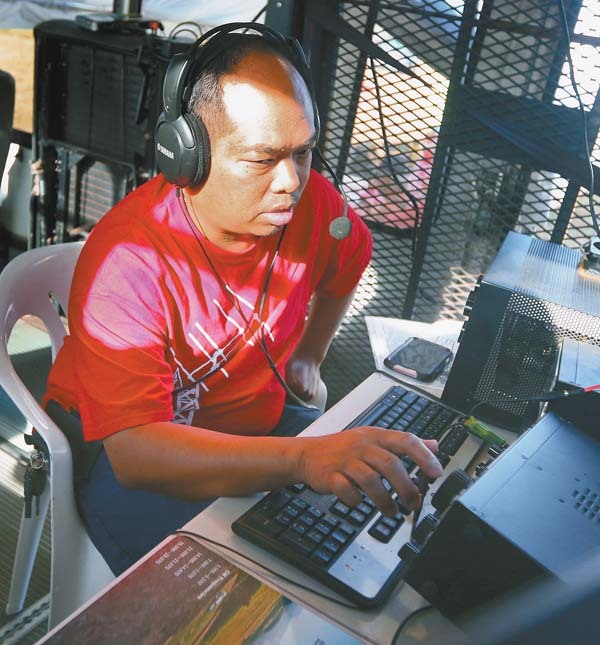 He said making a connection with friends or strangers around the world is the heart of amateur radio. The Maui Amateur Radio Club meets the second Wednesday of every month at the Maui County Emergency Operations Center in the county building. For more information about Field Day or amateur radio, contact Trip Hill at WH6FAM@arrl.net, the Maui Amateur Radio Club event page at www.kh6rs.com/events.html or www.arrl.org/what-is-ham-radio.